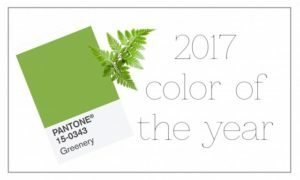 Pantone has announced their “it color” for 2017 – Pantone 15-0343 : Greenery. A refreshing bright yellow-green shade, Pantone says Greenery symbolizes the “reconnection we seek with nature, to revive, restore, and renew”. Sounds good to us! Looks like the greenery wedding trend is here to stay and we are thrilled. Scroll below to see a few of the many different ways to incorporate lush greenery into your wedding decor. © White Hall Events. All rights reserved.